Please come to visit us at our booth # 5710, you will have the opportunity to see in demonstration our 2-way lateral masking screen XLR3 from our flagship Reference X-Mask range. The screen will have full closure configuration, Nice ERA Inn ultra-quick and silent motors, and it will of course mount our famous award-winning THX and ISF certified truly acoustically transparent ClearPix 4K White woven fabric. We are pleased to share with you the Screen Research presentation video we just made. Make sure to have the audio on, as it is a fundamental part of the video. 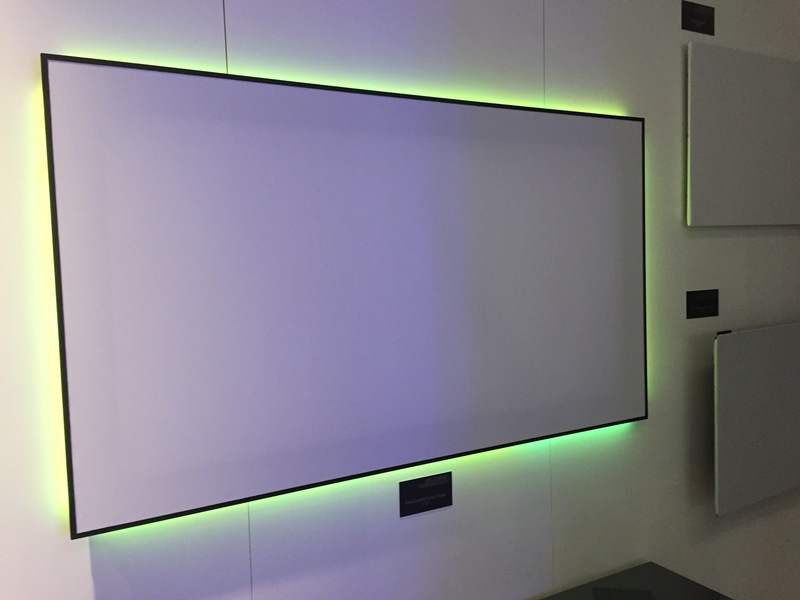 Screen Research, one of the world leading manufacturers of state-of-the-art video projection screens for custom home-theater applications, recently introduced its new range of Cinema FCIN1 very large size screens for permanent commercial installations. With this hand-crafted, innovative, European-built screen solution of superior quality, Screen Research is now able to address and satisfy the demanding needs of the commercial cinemas and auditoriums channel. 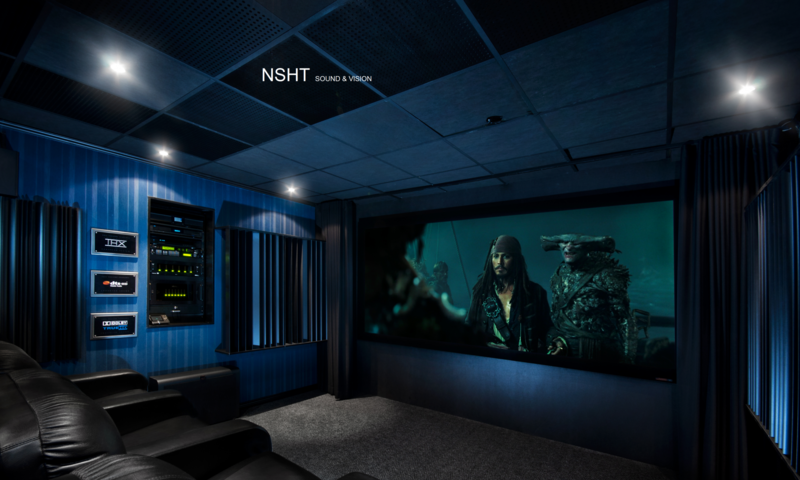 For the first time, true acoustic transparency is brought to the professional cinema market, thanks to Screen Research. Our award-winning ClearPix woven acoustic transparent screen materials allow the latest immersive audio systems to finally reach their full audio quality potential, while eliminating completely the necessity for any EQ compensation of the loudspeakers that are placed behind the screen. ClearPix materials are also completely free of any laser speckle effect, thanks to their particular woven structure and composition. Nevertheless, the entire choice of Screen Research fabrics is available with the Cinema FCIN1 screen solution. The Cinema FCIN1 screens come with a special frame studied for great stability and easy fastening operation. 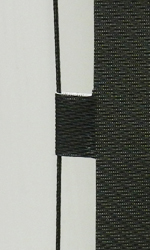 A strong elastic fixing system has been developed to stretch the fabric over the aluminum profile. This gives to the Cinema FCIN1 screens a sober but at the same time elegant design. For the ultimate cinema experience, we strongly recommend to choose our famous THX and ISF certified ClearPix woven truly acoustic transparent fabrics. Due to their patented and high-tech structure with glass particles, ClearPix fabrics will remain perfectly stretched and planar in time. All surfaces are welded vertically with a new technique that makes them invisible from the audience viewing point. A curved version of the Cinema FCIN1 screen model is in the last stages of development and it is expected to be available very soon. 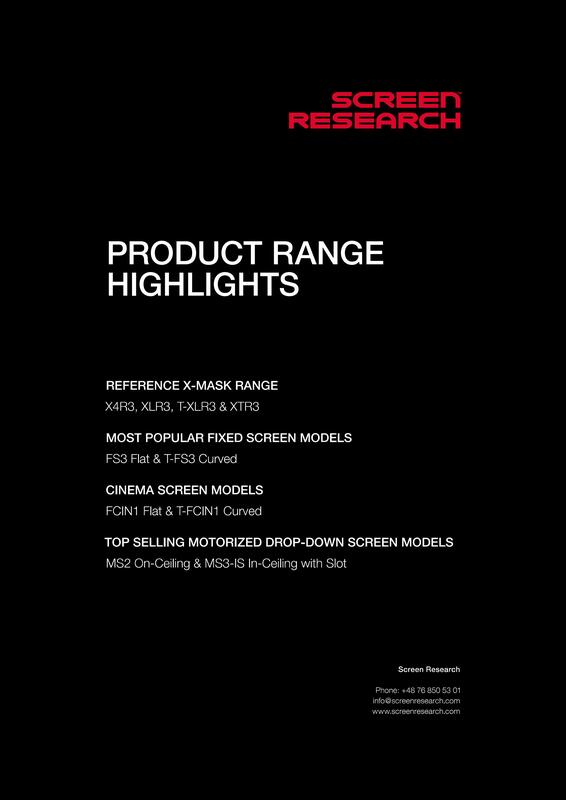 Screen Research has developed a new generation of innovative and technically efficient fixed frame screens with 2-way masking, replacing the previous XLR and XTR models with the new XLR3 (lateral masking) and XTR3 (top-bottom masking) improved screens, offering several new features and top performances at even more competitive prices. New frame structure with innovative stiffeners anchoring system to ensure stability and fast assembly. New sliding masking system more fluid and noiseless when moving, compared to the previous solution used with the older models. 2-way masking system with THX certified acoustically transparent masks. New reduced gap between masking and fabric to minimize the shadow effect during projection. E-Grip fabric attachment system for constant tensioning of the surface, for a simpler and quick install; this feature is now available for the first time in the Reference X-Mask range. Optional ultra-quiet ERA INN motor from Nice for the best silent solution (cheaper and superior than the Lutron QS motor). Optional leather housing finish from the finest Italian craftsmen (available for screens up to size 160″ of image width). 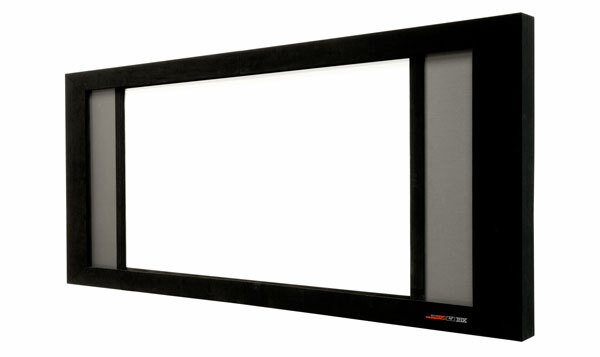 For the XLR3 model only, full-closure finish option available for screens up to size 160″ of image width. For the XLR3 model only, DécorMask finish option with printed dedicated fabric if image quality is to privilege or with printed ClearPix 2 White fabric if acoustic transparency is to privilege (available for screens up to size 160″ of image width). For the XLR3 model, achievable masked image ratios from 1.33:1 to 2.35:1 or 2.40:1, in sizes starting from 100″ of image width up to 240″ of width (the old XLR model was only available in format 2.40 and up to 210″ of image width). For the XTR3 model, achievable masked image ratios from 1.78:1 to 2.40:1, in sizes starting from 100″ of image width up to 160″ of width. Available with the entire range of projection surfaces from Screen Research. Different interface modules available to drive/control the screen depending on the chosen technology (RS232, RS485, TCP/IP or IR). With these XLR3 and XTR3 screens recently added to the Reference X-Mask range, Screen Research provides products of unique value for the most demanding customers aiming for uncompromised quality, top performances and great style. Screen Research are introducing, effective immediately, the new MultiPix 5 White 1.6 (M5W) fabric, that replaces the MultiPix 4K White 1.35 (M3W) surface, which is now finished and no longer available. Any incoming orders for fixed frame screens specified originally with the MultiPix 4K White 1.35 (M3W) fabric will be automatically converted to the new surface MultiPix 5 White 1.6 (M5W), for the same price. Kindly note that the new MultiPix 5 White 1.6 (M5W) is not suitable to be used with our motorized screens. In that sense, we are currently testing a similar material but having different thickness for this purpose. A solution is to be expected not before September 2016 and therefore any incoming orders for in-ceiling or on-ceiling screens will have to be produced with the MultiPix 4K Grey 1.3 (M3G) fabric, instead of the MultiPix 4K White 1.35 (M3W) surface. New X-Mask XLR3 and XTR3, lateral and top/bottom masking screens, with an improved masking system, bigger size available up to 240” width (lateral version only), E-grip system to fix the fabric, reduced production lead time and more competitive pricing. Klicka här för att se en video från ISE, som visar hur snabb och tyst den nya motorn för maskningen är. 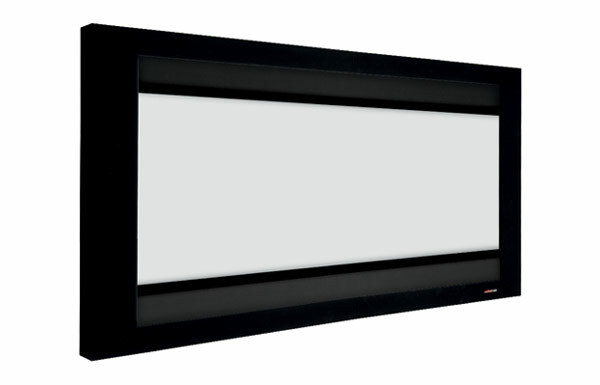 New FSD fixed frame screen with an ultra-thin outer frame of 10 x 6 mm edge covered in black flocking, for a very elegant and design screen solution, with optional back-lighting effect. New FI3 and T-FI3 improved fixed integrator screens (flat and curved) for permanent wall-mounting or in-wall integration, with E-grip system to fix the fabric and more competitive pricing. New FC fixed cinema screen for very large commercial screens, up to 24 m width and 10 m height, in multiple formats. 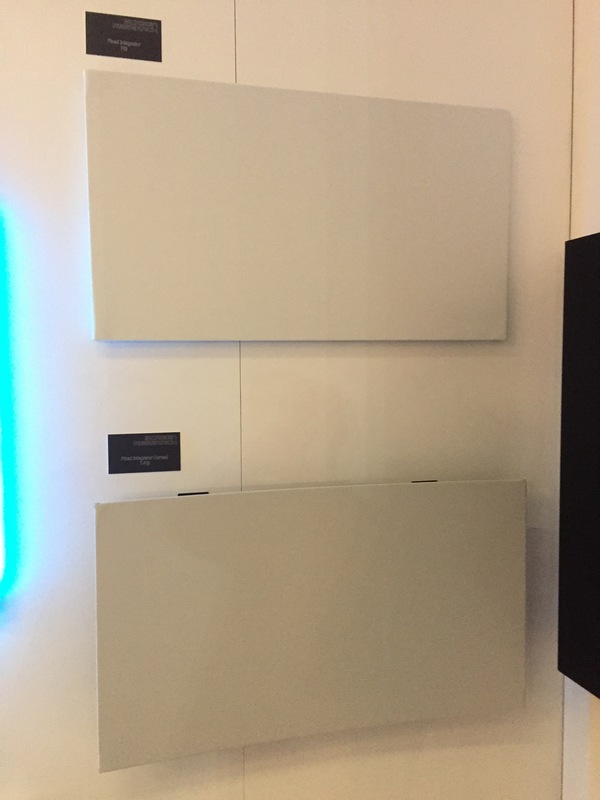 Screen Research revolutionized Hi-end Home Theater market when it introduced the ClearPix™ line of acoustically transparent materials. For the first time it was possible to create a reference home theater experience without any compromise to picture or sound quality. Based on our experience of more that 10 years of continuous acoustical research and development today Screen Research announces the worlds first solution that fully integrates complete room acoustics design with a world-famous Italian interior design and it is hand-crafted and manufactured in Italy with extreme attention to even the smallest details. It allows a great freedom for architects and interior designers while completely hiding all AV equipment and acoustical treatment of the room. This year Screen Research has partnered again with JBL Synthesis to create our Reference Cinema Experience room at ISE booth 1N80. 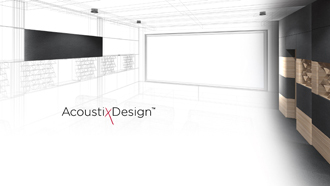 We will demonstrate Screen Research E-Mask™ 140” 2.40:1 ClearPix4K masking screen with complete AcoustixDesign™ room acoustics treatment that is fully integrated with JBL Synthesis ATLAS sound system. All AV equipment is completely hidden away using a signature Italian design solution. A very limited number of tickets will be available each day on our booth. Please note that it is not possible to attend a demonstration without registering first at booth 1N80. A dedicated press demo sessions will be held on Tuesday 4th from 15:30-16:00 and Wednesday 5th from 16:00-16:30 booth 1N80. We are pleased to announce a significant improvement in the quality and appearance of our tab tensioned motorized projection screens while using ClearPix® fabrics, thanks to a perfect marriage of technology and design. The screen surfaces and tabs are both cut on CNC controlled cutting tables. The tabs are then folded to the back-side of the screen and glued. As a result much stronger tabs are obtained compared to the ones previously offered, with no possibility of separation. The surface and tab are now fused into a single layer of material which allows to provide a perfectly flat projection surface. This solution improves the overall strenght and reliability of the tab tensioned motorized screens using ClearPix® fabrics. Furthermore, this method eliminates the edges puckering which can be often seen in many types of such screens over time. MultiPix™ 4K Sonic White 1.3 is the acoustically transparent version of the MultiPix™ 4K White 1.35 material. Screen Research’s proprietary MultiLayer™ technology allows the performance of MultiPix™ screen materials to be optimized for a variety of applications. The primary goal of MultiPix™ 4K Sonic White 1.3 is to allow the proper placement of front loudspeakers behind the screen in an environment having some ambient light. MultiPix™ 4K Sonic White 1.3 is recommended in lower ambient light conditions or where a larger screen size is required. Designed specifically for fixed-pixel Ultra-High definition projectors, giving excellent results in both 4K and 2K applications and future-proof tested with resolutions up to 8K. The MultiPix™ 4K Sonic technical data sheet are available at this link. MultiPix™ 4K Sonic screen material are available immediately with all our screen models with the exception of the Reference LeWing line. Thanks to the superior technology involved and the top performances achieved in our constant effort of research and development to the continuous pursuit of excellence at Screen Research, we have the pleasure and honour to share with you that our MultiPix™ 4K screen materials have received the award of ”Product of the year 2013 for Innovative Solution” in the category ”TOP HIGH END” during the prestigious Top High End Show in Moscow (Russia), this April 2013. This landmark achievement for Screen Research, crowns the MultiPix™ 4K material as a reference product in the High-End market. Screen Research’s ISF-certified MultiPix™ range of screen materials provides a variety of solutions for positive gain requirements and ambient light conditions. MultiLayer™ technology structure is made by gluing together different layers of materials. As the front surface of the screen material is not coated or painted, it is extremely resistant and durable, allowing the screen to be easily cleaned without the fear of ruining its advanced optical characteristics. 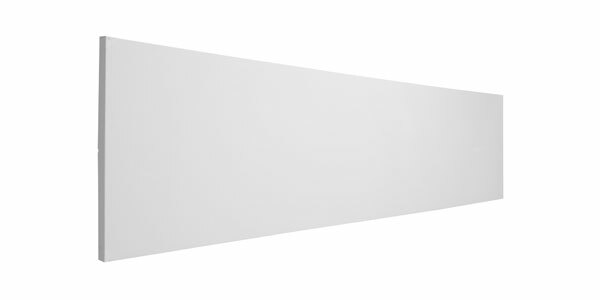 The unique MultiLayer™ design provides the enhanced gain required for lower powered projectors and multi-purpose room use whilst maintaining perfect color balance and white field uniformity.